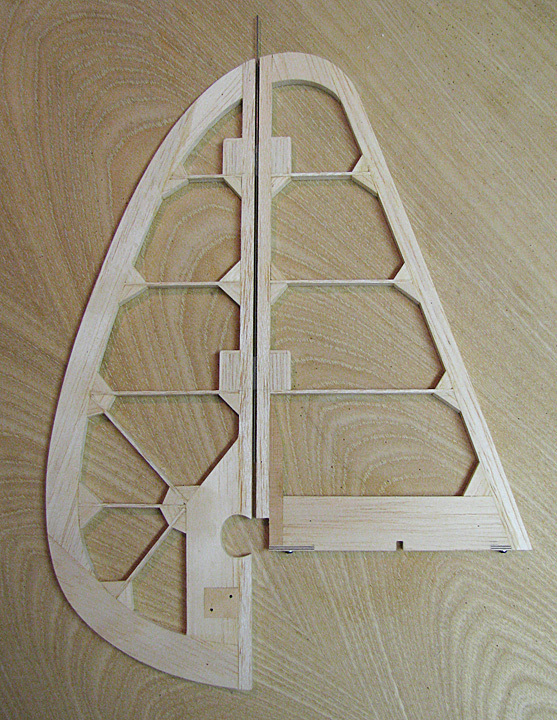 In the picture below, the fin has been slipped down into the center slot in the stab between the two 1/8" ribs. The first rib bay on either side of the fin will get planked with 1/16" balsa sheet. 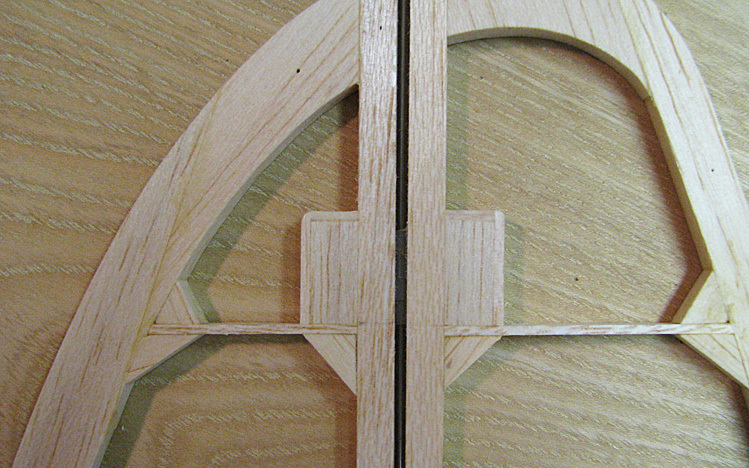 This picture taken from the bottom of the stab shows the two 2-56 Cap screws that secure the fin in the stab slot. 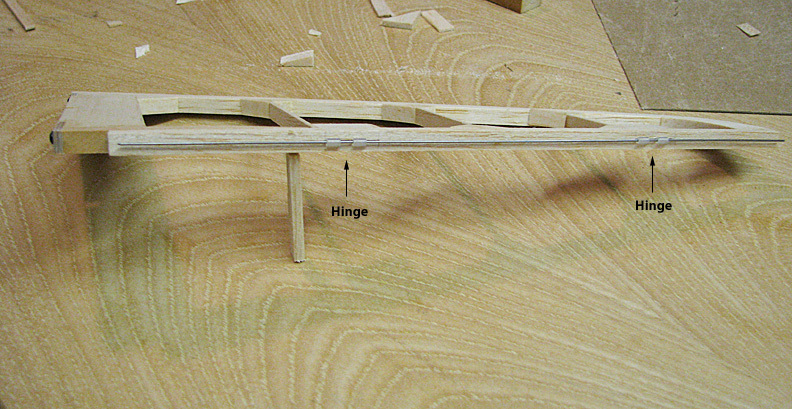 The bottom of the stab will also get planked with 1/16" balsa sheet between the two 1/16" plywood supports. 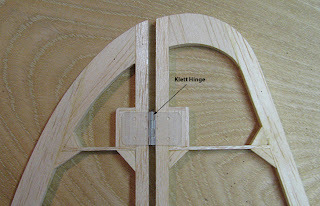 Klett hinges were selected for the control surfaces of the Cloudster 900. 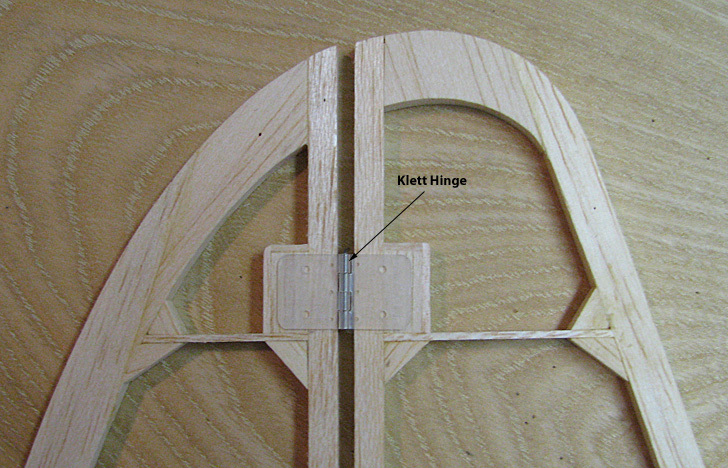 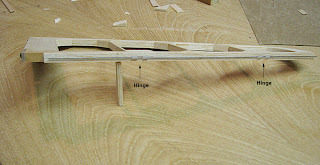 The two halves of a Klett hinge is shown below. Notice that the tongues of the hinge will extend out the back of the 1/4" post. The tongues of the hinges were inserted through the 1/4" posts and the portion that extended out the back was boxed in with balsa as shown below. 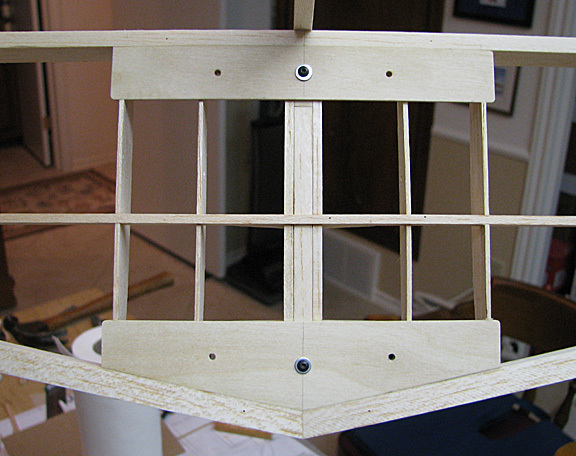 Two of the three vertical tail hinges were installed today. 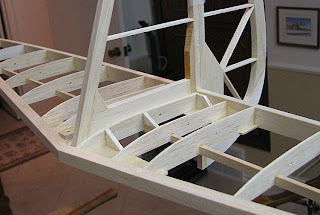 In the picture below, you are looking at the fin's rear post that shows two hinge halves with the .032" hinge wire going through each.